HI GUYS- hope your Thanksgiving was yummy and wonderful. MINE SURE WAS, I PIGGED OUT. Now that Turkey day is out of the way, I am finishing up some holiday decorating. 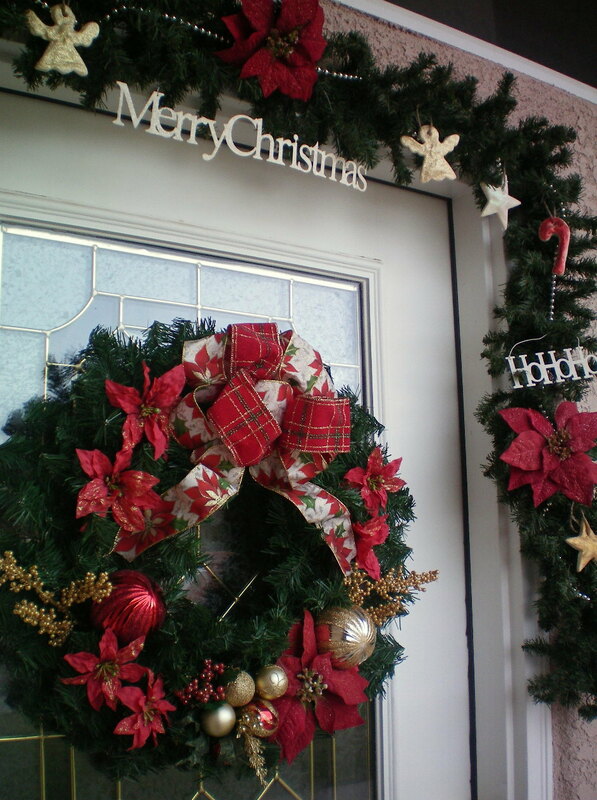 Like my front door. The hubs will soon be putting up the lights outside. Today I wanted to do something special with my kids. 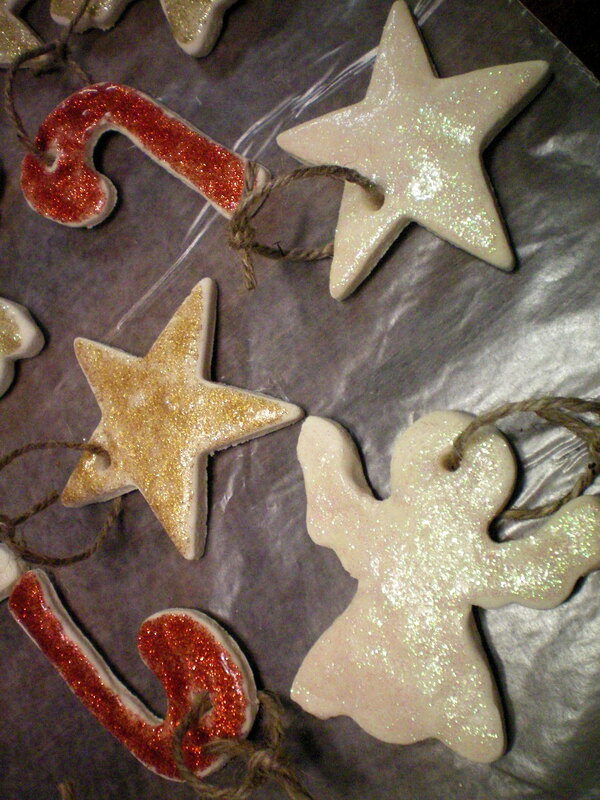 So I decided to make Baked Christmas Ornaments. I JUST LOVE HOW THEY TURNED OUT. Best part is the memories. My older son said after we decorated them… “This is the best day in November Yet!” totally made the day even better… LOVED IT! ROLLING OUT MORE DOUGH! with some hot cocoa and marshmallows of course. we used glitter glue and applied the glitter glue to the ornaments with our fingers. Keep a damp paper towel with ya. 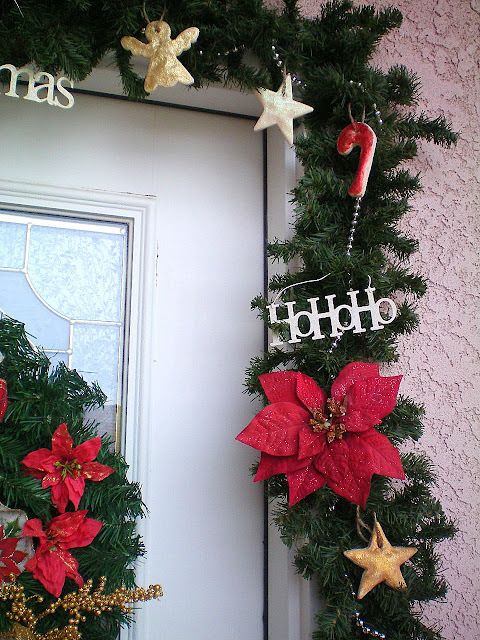 I hung some on my garland around my front door. I am so in love! the others went on my Christmas tree. The wreath you see I made last year. My mom made the bow for me. Welcome to The Larsens Home! 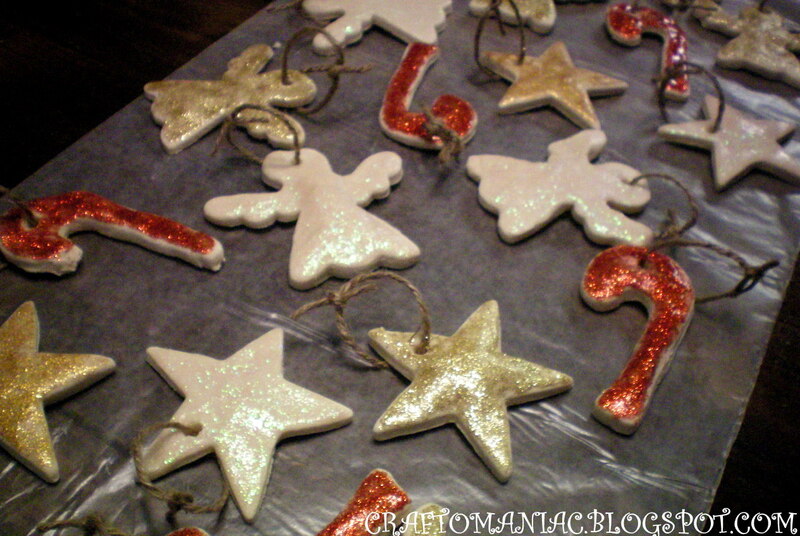 Directions/ Ingredients for the ornaments! Mix together 2 cups of Flour, 1 cup of salt, 2 tbsp. Vegetable Oil. Then slowly add 3/4-1 cup of water and stir until you get a nice clay. Add a little flour as you knead the dough. You want it sticky but not to sticky. 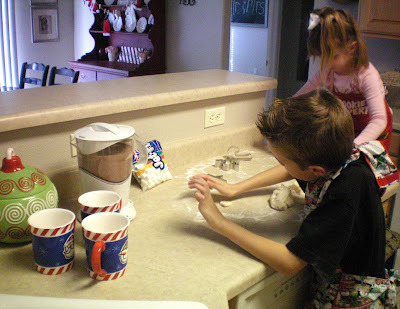 Flour your surface and rolling pin. 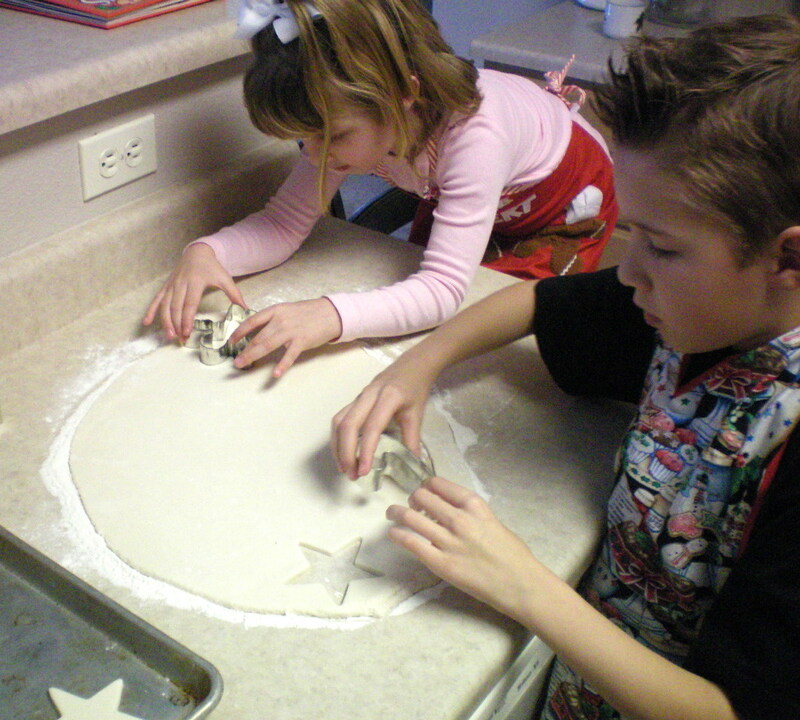 Roll out dough to about 3/4 of an inch, you don’t want it to thick it will crack while baking. Cut out shapes and place on un-greased cookie sheet. 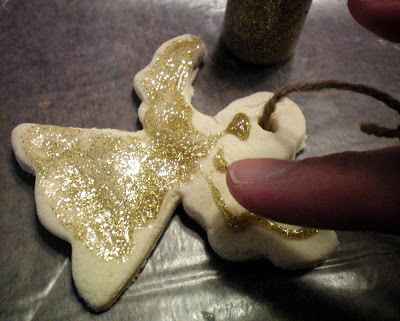 Use a kabob skewer (that is what I used) or a tooth pick to create wholes in the ornaments. Bake at 250 for 1 hr. 40 min. Let cool. THEN thread ribbon of your choice through the wholes and decorate. 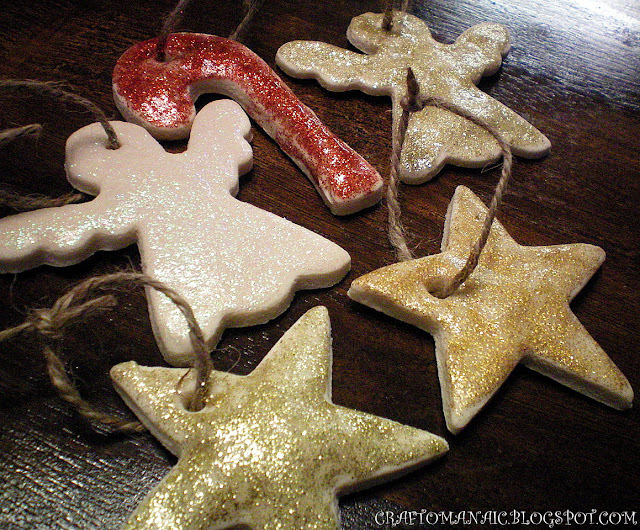 My kids and I decorated ours with Glitter Glue in Red, Gold, and White. Simple but lovely. I am linking up with Tatertots and Jellow for the Weekend Wrap Up Party HERE. little and had forgotten all about them until now!!! Now I wanna make some again! What FUN! I’m missing my BIG kids being little! I’m so happy to still have a few young ones at HOME~ You brought back some fun memories! I’m going to try the dough for my Nursery Kids! Awww! I love those! They look like fun to make (or should I say bake?)! Okay you make me sick!! 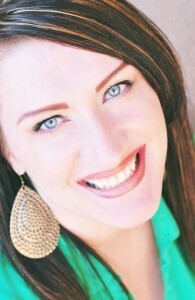 Your the modern day Mary Poppins!!! Everything you do is perfect!!!! Your ornaments are so darling!! And the kids looks like they had a blast! I love your door it turned out adorable! Love it sis!! I’ve been looking for a project just like this! Thank you! Such a fun project to do with your kids. They turned out great!! I’m sharing it on my TT&J FB page. Have a super weekend my friend! Your ornies turned out fabulous! 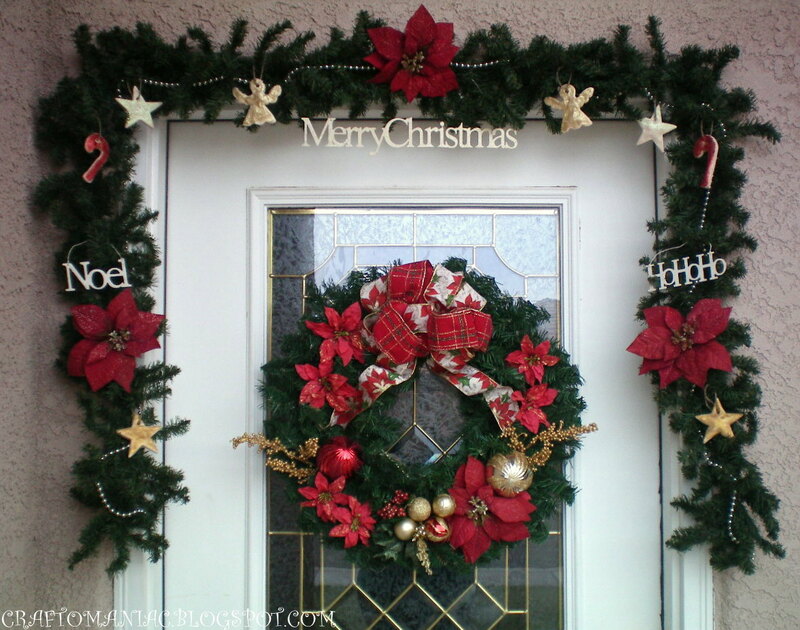 I love how you used them to decorate your garland on your door. It looks great! Thanks for sharing your recipe. The one I use doesn’t call for the oil and my ornies almost always crack and don’t come out very smooth. Now I know what to do!! Enjoy your Sunday! what a fun project to do with my boys! I love these! I can’t wait to make them with my kids! We are making cookies this week – so I am going to sneak these in. We love to do this too! Great job! FUN!! Thank you so much for posting this. My Mom did these with me as a kid and I was looking for instructions so I could do it with my kids. Can’t wait to try them out. I need to make 300 of these and need to know how many I can get out of one batch. Do you have any idea?